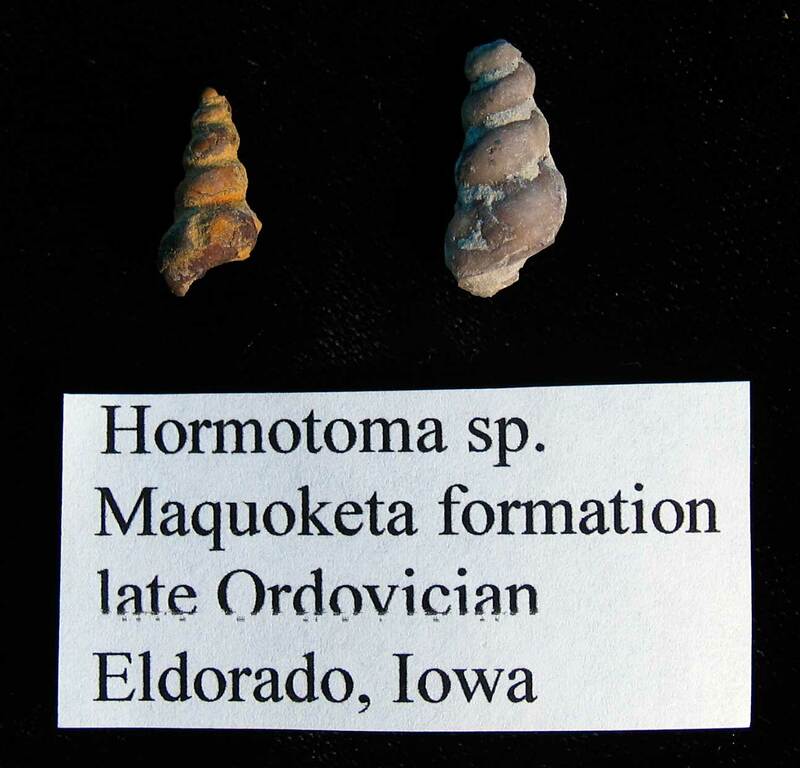 Snail fossils found in the Maquoketa formation of Eldorado, Iowa. This small snails crept the sea floor in the late Ordovician period. 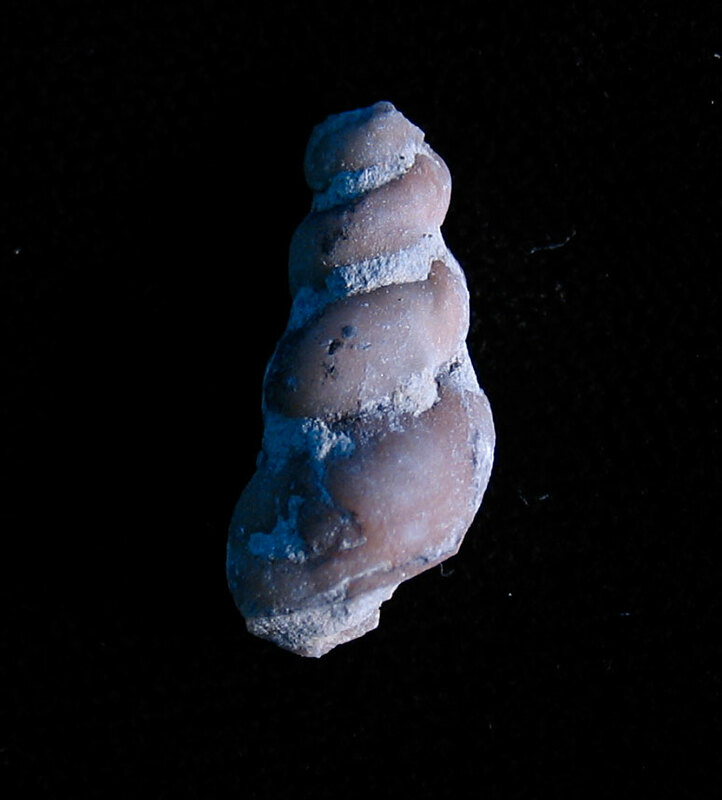 The animals are of the genus Hormotoma. 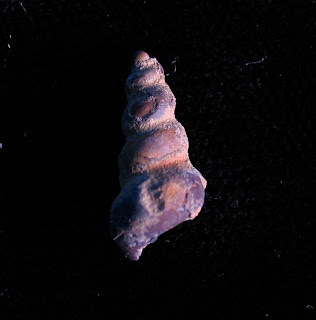 Fossils are about 2 cm high. 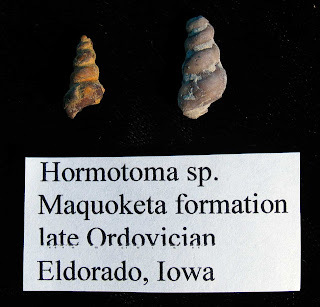 Two species found in the Maquoketa are H. trentonensis and H. major mentioned in Stratigraphy of Middle Ordovician Rocks in the Zinc-Lead District of Wisconsin, Illinois, and Iowa by Allen F. Agnew, Allen V. Heyl, C.H. Behre, and E.J. Lyons, Geological Survey Professional Paper 274-K, 1956. Since these are molds and no shell surface details are present, species identification would be difficult.